Hello guys, it’s T-Rex and today I am going to share 3 solid kinds of decks that can easily help you push from Arena 7 to Arena 8. Now obviously you can’t win every match, and not all of these decks will work for you. I am writing this post to inspire you to create decks that you feel comfortable with. 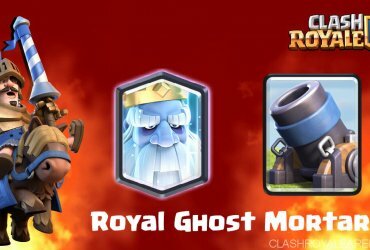 In the current meta, Royal Giant and Hog are very prevalent in high Royal Arena. What happens when you combine both? You get a powerful deck with many offensive choices, keeping your enemy defending, not being able to push. The reason why this deck works so well, is because many players only pack 1 universal counter to both troops. Example: Player 1 packs Barbarians in order to counter Royal Giant and Hog, as Barbarians are very good counters to those troops. With Royal Giant + Hog Decks, you can bait out there single counter with Hog, then push with Royal Giant, knowing that they won’t have a great counter against it. 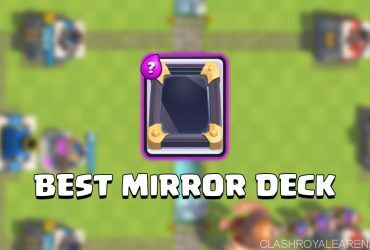 This can be reversed, instead of using Royal Giant as offensive power, you can utilize the Royal Giant’s range to take out defences that the Hog will have a bad time dealing with it. Even if they have 2 counters, this deck still works against them. Example deck? Please take a look at here! This deck right now is being used by nearly every player in Royal Arena. The fact that it is showcased by many Youtubers, and how the deck can revolve back to the hog / miner and still have enough elixir to defend makes this deck popular. Even if the opponent counters a hog push, the player has already cycled back to begin another push. They slowly chip away at the tower, getting hits off every now and then. 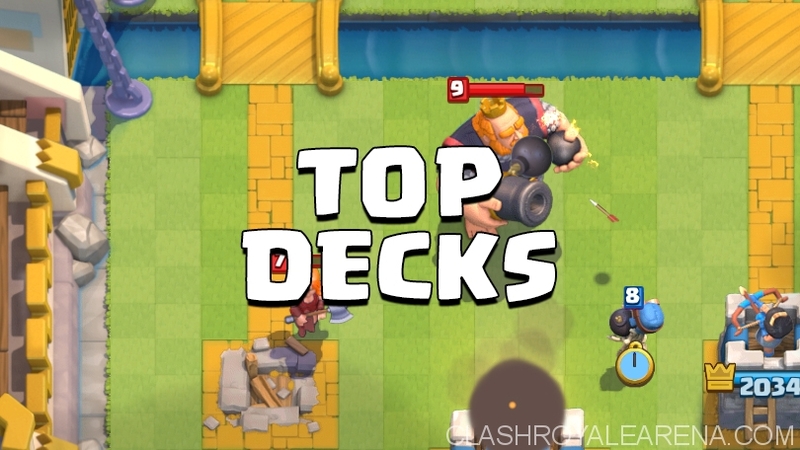 With these decks, you are able to cycle quicker then your opponent (unless they are doing hog cycle as well) and allow mini pushes to go off. 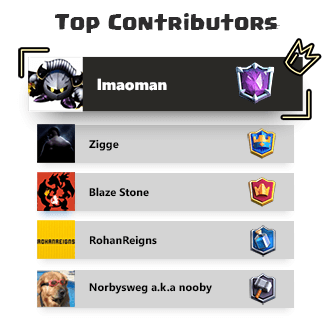 These decks also have the hard counters to the current meta, counters including Barbarians, Mini P.E.K.K.A and Inferno. Example Deck? Please take a look at this Hog Rider Cycle Deck and this Miner Deck. This deck has been slowly rising in popularity, as it uses one of the best 10 Elixir combos in the game. The fact that this deck outputs a lot of damage makes this deck deadly if you don’t have a hard counter to the balloon. This deck is for players who are not interested in the Meta, and want to try something different. Anti-Inferno Card/ Card that allows Giant to live a little longer. Okay guys hopefully you have chosen a good Arena 7 deck! 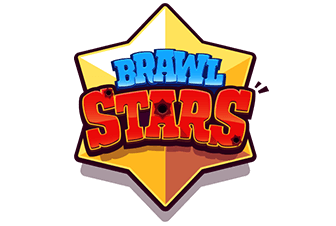 I hope you can push to Arena 8 soon! Thanks for reading! Good luck guys!